Trying to decide on which set of irons to get my daughter who is turning 11. Both the Taylormade M4 and the Cobra F8 have a women’s head and have the recoil graphite shafts in them. The price is basically the same on both sets as well. Just curious what the feedback is on both sets of irons. I wouldn't invest in custom adult clubs personally until my child hit 60" That allows manufacturers to build ladies clubs 1" short, and boys 2" short. Anymore than that and most manufacturers can't build them. Ping may be able to and get the SW right with their CTP and lighter heads though. So assuming she is 60" and working within those specs, then the next step is to have her fitted. I've hit both and they are a lot of the same. Strong lofted, low spin, distance irons with a lot of dispersion. I like the more compact and high spinning irons for distance control. My 11 yo plays AMP Forged and he loves them. DIstance is predictable and the spin on approaches are great. With the USK GI irons he was flying greens, or rolling out a lot. I’ve been debating on whether or not to go back with a junior set or get the adult heads. The key issue with the adult heads is the weight of the club. You can get a light weight graphite shaft in most ladies clubs so that is a positive. The adult heads have stronger lofts so she should get more distance but you wonder if she will got them too low. I’m not at the point where I want to spend tons of money to get her fitted. I was even looking at a used set of Callaway XR irons that would cost me less than new junior clubs. If you follow the Maltby Playability Factor (MPF) ratings ( http://ralphmaltby.com/mpf-head-ratings/ ) , those M4's are rated as Ultra Game Improvement (UGI) irons. Not sure on your daughter's skill level, but if she is an advanced player, I believe the prevailing wind is to get into more of a Game Improvement (GI) or Conventional iron ( http://ralphmaltby.com/what-is-mpf/ ). The Cobra F8's are in the upper end of the GI irons. Of course, all of these ratings are just a number. Perhaps head to your local golf shop and have her swing some of the various new/used ladies clubs there? ping will build them "5 short and can custom weight for whats its worth. I was looking at the M4 and F8’s because I can get a really good deal on them being a high school coach. I would love to get her a Forged set of players clubs for the reasons you listed above but it would cost me $200 more. I’m trying to keep the cost down on this set and then the next time she gets clubs at 13 or 14, really invest then. Buddy of mine got his son fitted for the Ping I200’s a year ago and he spent a fortune between the clubs and the fitting. If your going to buy adult clubs get her to hit them and see if she likes them. If she is 11 and handle adult clubs you probaly don’t want to get game improvement irons for her. You want her to learn how to work the ball and GI is not good to learn that on. Also ask around all OEMs give discount for kids so don’t buy something because it is cheap. If you need to save money buy used clubs from global golf or a good eBay reseller. Also if you don’t need to spend a fortune on fitting any demo day put on by an OEM will do a ok job. Nice thing about a demo day they have last years model you can try if you have to save money. I took her to the PGA Superstore today and she hit balls with three or four different ladies 7 irons plus the US kids model. There wasn’t a huge difference in any of them. Take into account the women’s clubs weren’t cut down so she had to choke way down on them. I thought it was funny that she liked the thicker head on the Callaway Steelhead XR. I agree that the best way to go is to get more of a players iron and have her learn to play it. 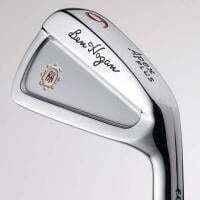 Only issue is that the players irons tend to run $200-$300 more than a regular game improvement iron. I plan to get her a 5-AW set and then get different 56 and 60 degree wedges. The wedges are $100 each so it all adds up quick even when you try to save money. When she hits 13-14 I will get her fit for everything and but whatever they tell me. I’m not doing that at 11 years old. Go to globalgolf.com or look on there eBay stuff and buy used irons for her. You can probaly find them some Callaway XR for around $300. Just buy a 56 wedge for her as well. I am pretty sure you can piece together a decent set for less then $500. The other alternative is buy the US Kids TS3 set it is around $500 and has everything you need. Replace the driver with used OEM and you got a pretty good set that will fit her well.You could also do Flynn golf and custom order the clubs you need. The truth is buying good golf clubs is a small expense to other costs in golf. You don’t have to spend a fortune but you do need to make sure they have good equipment. I like to prebuy used clubs in the winter and sell the old clubs around the masters. Sometimes you actually make money doing this. Thanks for the input. Still kicking around all my options. Sounds like Flynn will have a new iron set coming out at the first of the year. completely depends on your game. I took her to the PGA Superstore today and she hit balls with three or four different ladies 7 irons plus the US kids model. There wasn't a huge difference in any of them. Take into account the women's clubs weren't cut down so she had to choke way down on them. I thought it was funny that she liked the thicker head on the Callaway Steelhead XR. I agree that the best way to go is to get more of a players iron and have her learn to play it. Only issue is that the players irons tend to run $200-$300 more than a regular game improvement iron. I plan to get her a 5-AW set and then get different 56 and 60 degree wedges. The wedges are $100 each so it all adds up quick even when you try to save money. When she hits 13-14 I will get her fit for everything and but whatever they tell me. I'm not doing that at 11 years old. That $500 or less target that tiger mentions above is something to shoot for. Perhaps look for a used set of the previous Tour Series (TS2?) instead of the newer TS3. I'd still get an OEM driver (used) and if you need a wedge find one used also. That Steelhead XR is an Ultra Game Improvement Iron (UGI). I'd think the USKG clubs are less GI than that. Best of luck in your search.